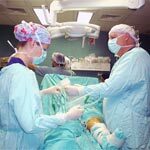 Edheads Virtual Knee Surgery Game – Learn How Knee Surgery Is Performed! Are you thinking of becoming an orthopedic surgeon or are you simply planning to undergo a knee surgery yourself and want to understand a concept of this procedure? 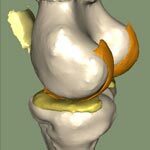 Edheads virtual knee surgery game is a really cool way to actually get a hands on crash course on a lot of orthopedic procedures like partial knee replacement and hip resurfacing. But that’s not all, this super cool website offers other interactive orthopedic games. Orthopedic surgeons devote their medical careers to prevention and treatment of the diseases of musculoskeletal system organs like bones, joints, ligaments and muscles. The best orthopedic surgeons specialize in a certain area of expertise like pediatrics, reconstructive surgery or trauma. Some surgeons selectively perform only specific procedures like torn labrum surgery or partial knee replacement to facilitate their medical research in this area of interest. For individuals with advanced cases of arthritis or if the torn labrum surgery did not result in desirable effects, a partial hip or knee replacement is recommended. 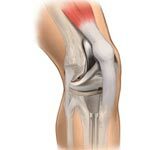 If you are curious what the partial knee replacement entails and how it’s different from a total knee replacement, our 10 important facts on the partial knee replacement will help you learn more about this surgical procedure.